"I have the most wonderful staff any dental practitioner could ask for!" Janell has been working with "The Bocks Team" since 2004. She has worked in the dental profession since obtaining her A.S.(Associate of Science) degree in Dental Assisting in 1975 from Monterey Peninsula College. After spending time working as a clinical assistant, she has discovered she prefers her administrative position best. Janell lives in Willow Glen and has two grown daughters, Whitney and Zoe. Whitney, with a degree in Communications is working as a Sales development Rep for Zoom. Zoe has a degree is child development is recently married and about to make Janell a grandmother, hurrah! Janell enjoys spending time with friends playing board games, listening to music, scrapbooking and playing scrabble on the computer. Shannon has been a patient of Dr. Bocks' since 1995 and is very excited to join "The Bocks Office Team". Shannon has spent the last several years as a dental team member in a front office position and is enjoying the added responsibility allowed with the dynamics of her new position. Prior to her dental employment she has spend time volunteering at her children's school (now both in college and away from home) and the various activities that her volunteerism allows. The best part of her new position is getting to know our patients and has been surprised to run into several friends that she did not realize were patients of Dr. Bocks. Shannon and her husband Scott, live in San Jose and have been adjusting to the "empty nest" as their children head off to college. Andy is studying at CSU Chico and Allison has just started her second year at Santa Clara University with an aim at Law School. Shannon most enjoys when her family is "all under the same roof" hanging out as a family should with the family dog. Sandra started working for Dr. Bocks' in 1986 as a Registered Dental Assistant. 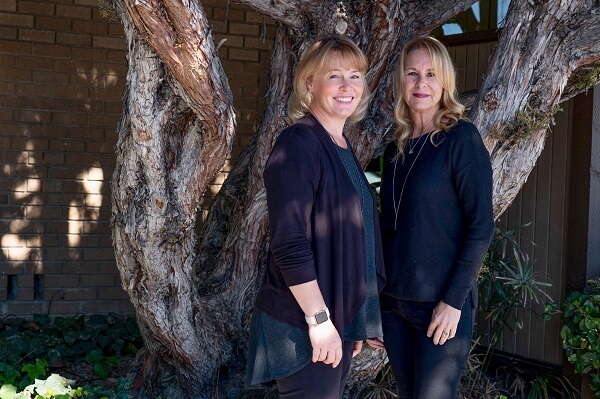 In 1990, she left to attend Cabrillo College to become a Dental Hygienist. When Sandra graduated in 1992, there was an opening for a hygienist and she came back to the office. Sandra has enjoyed taking care of our patients and their families. Sandra and her family live in Willow Glen. She and her husband Greg have 4 daughters: Veronica, Marissa, Briana and Katrina. The girls keep them very busy with sports and school activities. They enjoy family time at Lake Camanche, wake boarding, tubing, and knee boarding. Carla is a graduate of the University of California School of Dentistry in San Francisco with a Bachelors Degree in Dental Hygiene. She has attended numerous continuing education courses to stay current in her knowledge of dental hygiene. This allows her the confidence knowing she is treating patients with the most up to date and proven techniques. Carla enjoys getting to know the families in our practice and feels privledged to take care of their dental health. Carla is married and has 3 lovely children. She resides in Morgan Hill and some of her family's activities include bike riding together and hanging out at the beach. Most recently she has been acting as a "Mom" for foreign exchange students. Debbie has worked in the dental field since 1989. She was a Registered Dental Assistant until graduating from Foothill College's Dental Hygiene program in 1996. Debbie has been a patient of Dr. Bocks' for 13 years and is really excited to be able to join our office. Her favorite part of the job is creating relationships with patients, making them feel comfortable and seeing their great smiles. Debbie, her husband Dave and their two children Ryan and Rachel live in San Jose along with their dog Koda. She loves to volunteer at her childrens school, read, hike, ski and take trips to their cabin in Tahoe. Generally she loves to spend quality time with family and friends. Lucy has been a registered Dental Assistant since 1992 receiving her Expanded Functions certificate in 1999. She began working for Dr. Bocks in 2004. Lucy finds helping our patients and making them comfortable during their dental visits very rewarding. Lucy and her daughter Marissa enjoy spending time at the beach, going to baseball games and simply "hanging-out"
Katie received her Dental Assisting degree from San Jose City College Dental Assisting Program in 2007, interned in Dr. Bocks' office, and began her career in Dr. Bocks' office shortly thereafter. Katie enjoys most the opportunity to engage with our many children patients during their dental visits. 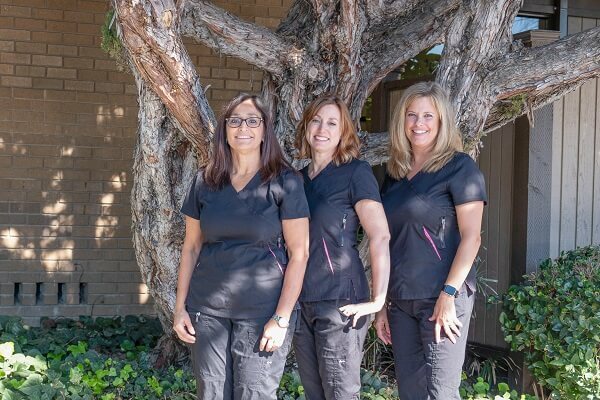 In April of 2008 she completed her licensing as a Registered Dental Assistant only to follow that up with the highest level of dental assisting; RDA in Expanded Function level 2, in California. Katie was born and raised in San Jose and loves the outdoor active life. Her favorite sports are snowboarding, wakeboarding, fishing and duck hunting which are things she does with the most important people in her life: her fiance and family. Mariah began her program and studies at Foothill College and received her dental Assisting certification is the spring of 2016. During the program she interned with Dr. Bocks staff and upon completion was offered a full-time position. She is committed to learning and improving her skills. Mariah has already completed her additional training requirements to be accredited as an Expanded Function level 2 RDA. Mariah finds building strong relationships with her patients and ensuring their comfort as her favorite activities. She was born and raised in San Jose and her favorite activities are waling her dogs and hanging out with family and friends. Please welcome Mariah to our staff.